Timing has been on my mind a lot this last month. 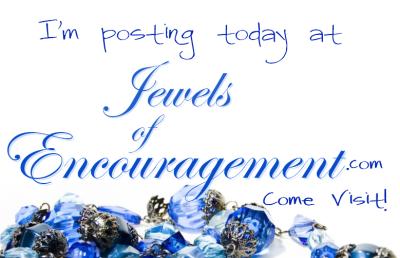 Jewels of Encouragement opens its doors today! This is an extra special site for me because I've been wanting to do this for two-and-a-half years and because 90% of the team writers are Faithwriters. 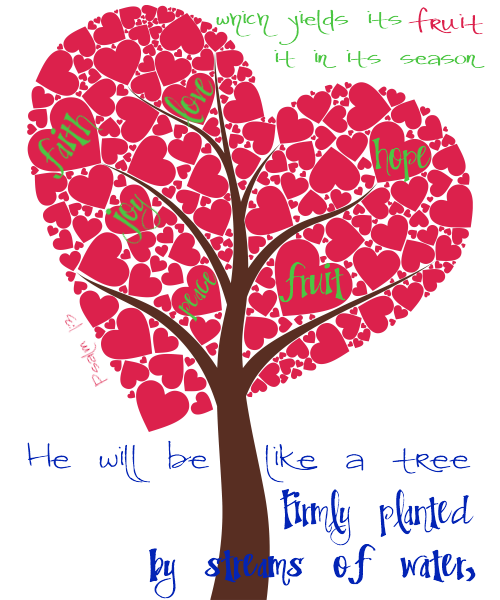 You can read more reasons why Jewels of Encouragement is special here. It's been a topsy-turvy two weeks for me--filled with highs and lows and littered with a bunch of deep thinking in the cracks of time I've had to think. But it's been good and it's helped me remember that God's timing is the best timing of all. It's HIS timing I want. Not mine. And now that Jewels of Encouragement is up and running, things will get back to normal around here. LoL--it's only been eleven days since I mentioned this to Joanne, and in those eleven days the site was built, loaded and staffed. Sure we still have a few spots open for writers, but still... Eleven days. God amazes me! 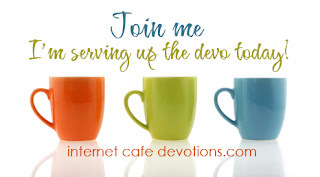 I hope you join me today at Jewels of Encouragement. God has once again blown me away with His blessings, and that site has already been a blessing to me. So tell me, my friends, what have you been up to? I'm still here, just a little crazier than usual. I'll tell you about it later, but here's a hint: Jewels of Encouragement. In today's buff world, sponginess isn't sought after, but we're a people set apart. Spongy Christians at the Internet Cafe. I have to admit that when we decided to study The Sermon on the Mount at our ladies Bible study I was a little disappointed. I really, really wanted to dive into 1 Samuel, but we had spent most of last year studying in the Old Testament, so we moved into the New Testament since some of the girls love the New Testament like I love the Old Testament. But as I prepared for tonight's study I changed my mind. I cannot wait to jump into The Sermon on the Mount, and wish we were studying the whole book of Matthew! So let's look at Matthew, the man, for a moment. What do most of us equate with him personally? Tax collector, something that Matthew himself reminds of us as we read the Gospel. As much as some of don't like tax collectors in our day and age, being a tax collector in the days of Jesus was close to being despicable. But it did have its advantages--namely wealth and social standing. I loved how this put Matthew into perspective for me: “Since tax collectors generally were fairly wealthy and were despised by the local populace, Matthew's calling and response were completely out of the ordinary and required nothing short of a miraculous turnaround in this tax collector's life.” His unique background gave him the training he needed to be able to write the account. Combine that with his Jewish upbringing and training in the Scriptures, and you have a man able to interpret the life of Jesus from the perspective of the Old Testament expectations. The Gospel of Matthew breaks the 400 years of silence between the Old and New Testaments acts as a bridge between them. In the early years of the church, Matthew was the most widely read Gospel, as it was through much of church history since it verifies Jesus was the Messiah of Israel, who brought salvation to all of us, not just the Jews. Matthew also acts as a “manual on discipleship” because it has an extended collection of Jesus' teaching ministry, especially The Sermon on the Mount. Matthew 5-7 - Kingdom-life disciples. 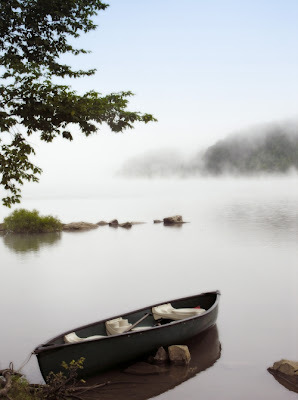 What it means to live out a radical kingdom life in their everyday world. Matthew 10 - Mission-driven disciples. Jesus' disciples are to go out and live out the message of the gospel of the kingdom of God. Matthew 13 - Clandestine-kingdom disciples. What it means for Jesus' disciples to live as kingdom subjects in a world not yet fully manifested with God's power. Matthew 18 - Community-based disciple. Discipleship to Jesus that is expressed through a church characterized by humility, purity, accountability, forgiveness, and reconciliation. When you study these five messages, you get a full picture of the kind of discipleship that was to be taught to the disciples of Jesus—us! These teachings were to be the basis for obedience to Christ and they became the basis of instruction as many early churches used them to teach believers how they were to live. That's real transformation, not just a mask that's put on when it's convenient. God with us, forever, working that inside-out transformation in us. It doesn't get much better than that. Why don't you pick one of these messages and read it this week? *Quotes taken from The New Application Commentary on Matthew by Michael J. Wilkins. Lately I've been interviewing the characters for my manuscript "Beyond the Rapids" and it's made me stop and think about more than just those characters. It's made me think about myself. It's also made me think I need to interview myself. Now there's a scary thought. 1. What does your character want more than anything else in the world? 3. Whom does he/she dream about, yearn for, hate? 4. What virtues characterize this person? 5. What is your character's greatest fear? 6. What one thing does your character hope no one will ever find out about him/her? 7. In one word, what motivates your character? 9. What makes him/her laugh? 10. What is your character's personality temperament? 11. What is their deepest unfulfilled desire of their heart? 12. What is he/she most proud of accomplishing? 13. What is he/she least proud of having done or being a part of? 14. What are their warts? 15. What are their phobias? 16. If they had only one day to live, how would they spend that day? 17. What kind of obstacles will most challenge them? 18. What will it take for this character to get to where they need to be with God? 19. What is the pivotal issue of faith that will draw them to a closer relationship with God? I don't know about you, but it would take me more than a few minutes to answer these questions about myself. In fact, some of these have had me pondering for several days now. Not just idly thinking or wondering, but heavy-duty thinking. And I don't know that I've come up with the answers even now! Knowing our characters as we write fiction is important if we're going to tell their story and show how they get from point A to point B. Especially as we write Christian fiction that carries a message with it. But yanno, knowing ourselves helps us get from point A to point B without going around Robinson's barn 30 million times, or without wandering in a wilderness for 40 years. Just like knowing the answers to these questions (and at least 100 others like this) will help you plot your characters' stories, knowing the answers about ourselves will help us plot our lives so the message of our lives is crystal clear to those that are watching and reading our lives. So tell me, are you open for an interview with yourself? Maybe January affected me more than I thought. 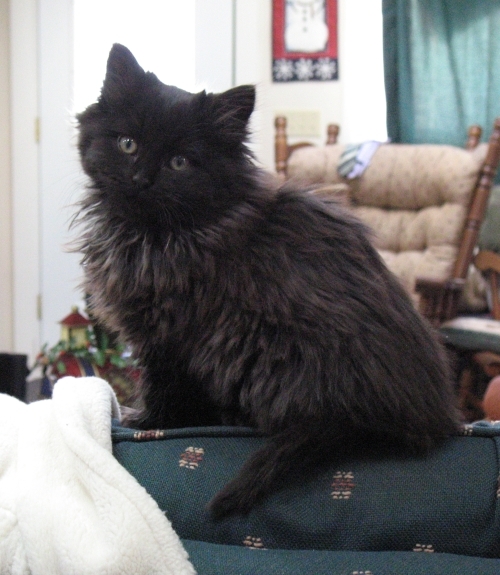 Our critter number has grown from Turtle, Gracie and the 2 cats and 1 kitten, FlufferNutter (isn't she adorable?) 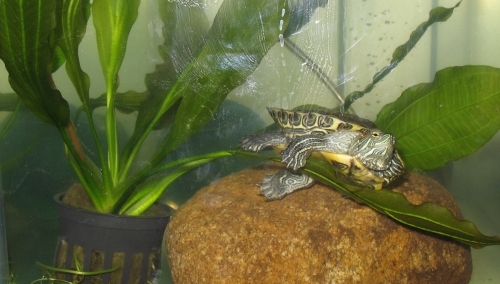 to 4 new residents in the turtle tank. The newest friends for turtle? Yoyos! 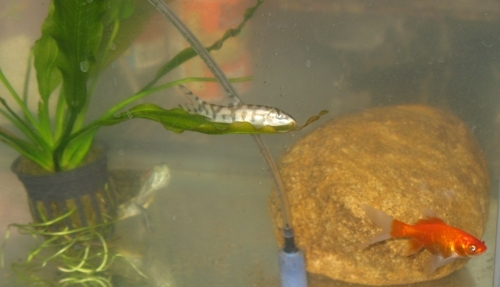 (The skinny silver fish resting on his leaf hammock.) Oh. my. goodness. I love those things! We started out with one (this one) and he delighted us with his antics so I googled his breed: yoyo loach, and learned they like to be with friends. So I had to buy a couple more because everyone needs friends and I want happy yoyos because happy yoyos are characters and full of personality. 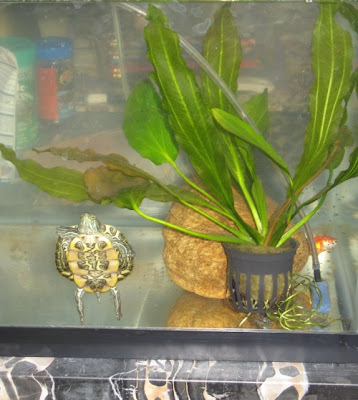 So far we've seen them cleaning the tank (ahem, that's their official purpose), cleaning turtle's back and head (he didn't like it when they tried cleaning his eyeball. Huh. Imagine that), playing tag and taking naps on their sides! These critters are crazy. And that's why I love them. Since FlufferNut has been banned from the house, she thinks her life is over. 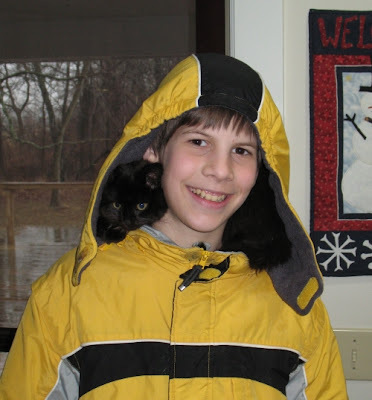 She loves perching on shoulders (so does her sister who lives with Abby's classmate. What's with that?) and she crawled inside my middle son's hood today. They both loved it! Because they're friends. And that's the tale of my critters and what happens when Patty grows tired of hovering near the window to see if the rain has turned to ice while her kids were going back and forth to the college campus. So, from a wet, but wonderfully ice-free very-Southern Illinois, Turtle and I wave good night to my friends in blogland. The last one to bed feed the Yoyos.